While the Vidanta Elegant continues to be refurbished in Naples, Italy, Grupo Vidanta is now busy hiring crew for the ship. Declining to comment on any specifics, the Mexico-based hotel operator has been busy recruiting crew through a vessel management company. Hirings include senior officers to medical staff for the new cruise brand with immediate embarkation. The ship, meanwhile, continues to be under the knife in a significant refurbishment in Italy that should be completed in 2019. It’s the second yard that has done work on the 1990-built ship that most recently sailed as the Voyager for all Leisure Group. Following the demise of the British brand, Grupo Vidanta acquired the vessel and moved it to Spain for a refit. 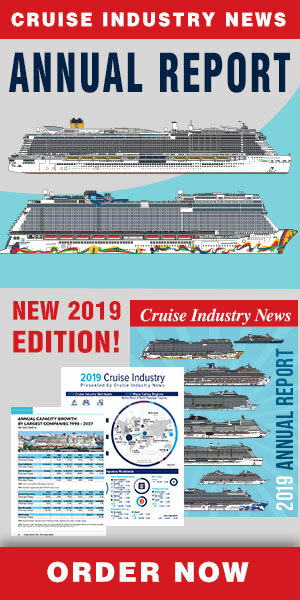 While an inaugural season on the Mexican Riviera was expected for the 2018-2019, the new cruise brand now has made port bookings at various destinations on the Mexican Riviera for the 2019-2020 season.